Since my last article I’ve played in Minnesota States and Wisconsin Regionals, placing 5th and 13th respectfully. For Minnesota States I ended up running Emboar/Delphox as a last-minute meta call, and for Wisconsin Regionals I took a 180-degree turn and played Virizion/Genesect. Like I do for all my lists, I focused on speed and consistency, but included a sprinkling unique techs. Unfortunately I wasn’t able to playtest for these events as much as I would have liked, so along with the lists I used I’ll be sharing what I learned about them and changes I would make in hindsight. With all that being said, States and Regionals are nearly over and like most players my attention is now turned towards Nationals and the new Flashfire set being released in early May. Even when I talk about States and Regionals in this article I want to focus on information that will be useful heading into Nationals. I have very mixed feelings about Flashfire since only a handful of cards stick out to me. However, I believe that handful of cards will shake up the metagame and continue to balance the format. Nationals will be here before we know it and these next few months are going to be key in terms of preparation. People always seem to go crazy and over-hype cards when new sets come out. I’ve think I’ve done a good job at balancing my excitement for the new set with the realities of what will work in competitive play, and I’m excited to share my ideas with you. After playing Trevenant/Accelgor in Iowa I realized it wasn’t the format I hated as much as having games decided on Laser flips and who drew better off late game Ns. I actually think the format is pretty balanced right now with a large number of different decks being playable. There is still a lot of luck in the current format, but also a lot you can do to control and minimize that luck. Heading into the last week of States I knew I wanted to play a deck with a late game consistency crutch that also had an answer to Hypnotoxic Laser. The two most obvious answers to me were Blastoise and Emboar. Metagaming seems to be something we’ve covered in-depth here on SixPrizes lately and this is a perfect example. I noticed in Week 2 that a prominent Minnesota player had won Illinois States with Virizion/Genesect and another member of his “team” had played it also. I figured it was a safe bet that he would play it again, as would most of his team. In Iowa the week before, Virizion/Genesect was popular and I figured it would be safe to assume some of those same players would make the trip. I knew I couldn’t play Accelgor again and Emboar seemed like the most logical choice to counter the Virizion-heavy metagame I was expecting. This was a last-minute addition to the deck because Lex showed it was good. It proved to be an invaluable card and I’m extremely glad that I played it. The deck really needs a non-EX attacker that doesn’t require any setup. Reshiram is perfect for pushing over Bouffalant, Baby Rayquaza, Virizion, and Genesect, just to name a few cards. I even used it quite a few times as a wall to take a hit while setting up my field. The one Keldeo was pretty random, but as I said earlier I really didn’t want any of my games being decided on Laser flips. In many cases I ended up discarding Switch before I actually got to use it. The Keldeo-EX in all honesty was supposed to act as a deterrent more than anything. A lot of players would try to continually drag about Emboar in hopes of stalling for a turn or run me out of resources. By showing that I could get Emboar out of the Active spot for only two Energy, it helped to deter this strategy. I believe this helped me in a very tough matchup against Yoshi Tate in Round 4. I finished Swiss as 1st seed with 4-0-2 record and patted myself on the back for my smart metagaming. I actually ended up playing against the guy who won Illinois States the week before, and as I expected he was playing Virizion again. In the Top 8 I drew two pretty dead hands and the entire match lasted maybe 20 minutes. In the second game I actually hit Emboar and Delphox, but I was already down 4 Prizes at that point. Still, I actually would have won the game if my last SER was not prized. Overall I was not a big fan of Emboar; the deck never felt super consistent to me. There are absolutely some card choices in my list that can be debated, but in the end, trying to set up two Stage 2s is always going to be more inconsistent than trying to set up just one or none. If I was going to make any changes to the list they would be adding a Jirachi-EX and perhaps a 4th Tropical Beach and 2nd Level Ball. You really need those explosive first turn openings of Tepig, Fennekin, and Tropical Beach. In Blastoise you seem to be able to fit just about everything you could want, like both Tool Scrapper and Pokémon Catcher. Emboar is so much tighter on space that this isn’t possible. 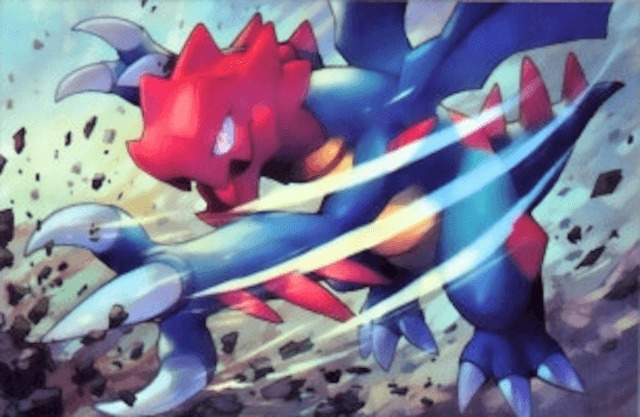 That flexibility is something I really like about Blastoise as opposed to Emboar. Note: The 60 HP on Fennekin never came into play; however there really is no reason not to play the 60 HP Fennekin. Ironically, the 60 HP Tepig did really hurt me in the game against Yoshi. It was also the only game where I felt playing Super Rod mattered. The situation against Yoshi was very unusual and while it might not come up much it is an example of where the 10 HP difference matters. Very early in the game Yoshi was able to get his Kyurem-EX PLB in play along with a DCE. He was constantly able to use different Ninetales to drag up my Tepigs and use Outrage (30 x 2 = 60) to knock them out. If I had the 70 HP Tepig he would have needed a Laser or Muscle Band to go with it. Note: People always seem to be interested in what Yoshi is playing because his ideas are always really off the wall and counter the meta well. Chandelure NVI/Accelgor DEX/Vileplume UD is a great example of a deck Yoshi created. Yoshi actually went on to win the event (Minnesota States) with me being his only loss (though I got pretty lucky to beat him). I liked his list for the most part, though I found it to be very combo-based, as you constantly need to set up Stage 1s over and over again before pairing them with cards that make them good. Raichu needs DCE while Ninetales needs Fire Energy and Laser. This sounds really simple, but remember you have to do this repeatedly over the course of a game while constantly getting N’ed into smaller and smaller hands. Kyle Sucevich built a deck that was extremely close to Yoshi’s (within a card or two) and tested it against Jason Klaczynski on PTCGO. The video shows how to play the deck and the strength of this cool rogue deck. Note: A few weeks later at Wisconsin Regionals I actually found myself sitting next to players with similar Ninetales lists, twice. Once again Yoshi has created another rogue deck that seems to be catching on. Credit to Will for a few good ideas! What can I say? I enjoy social experiments as much as the next guy and the most recent one that comes to mind is Brit Pybas agreeing to pilot “WillGen” at Kansas Regionals if his status update got over 100 Likes on Facebook. Not only did his status get 100 Likes, it got nearly 300! Brit came through as promised and played the deck, somehow managing to Top 8 before the feel-good story came to an end. Many people after looking at the list hailed it as “horrible,” noting things like the single copy of Professor Juniper and unusual choices like one copy of Cassius. However, what I feel was largely overlooked was the deck conceptually. Virizion/Genesect is a really strong deck due to factors like Virizion shutting off Special Conditions and Genesect having a built-in Pokémon Catcher Ability. Palkia-EX is seeing more and more play to counter popular cards like Black Kyurem-EX PLS and Rayquaza-EX. In general, Palkia is good because of its ability to 2HKO Pokémon-EXs and glide back to safety before it can be retaliated against. Two smaller notes in the Pokémon lineup that seem to be largely overlooked right now are Sigilyph LTR and Deoxys-EX. When I won Iowa States this year at least three of my wins were due to Sigilyph. Nearly every deck in the format has an answer to it, but they have to devote time and resources towards setting that counter up. Honestly, there never really is never a point in the game where Sigilyph is a bad card. Deoxys is very good at modifying damage. In conjunction with Muscle Band and Genesect’s snipe damage, Deoxys allows you to set up KOs a normal Virizion/Genesect deck can’t. Let me be clear and say I’m not trying to oversell this deck; a more straightforward, consistent version is probably the way to go. However, let’s just say Brit inspired me and it seemed like a fun deck to play at the moment. Plus the last time I played a “fun deck” I ended up winning States, so maybe with a little luck I could go far. I’ve never actually used Virizion/Genesect in a tournament, so I turned to a couple of friends to help me with the list. The first was Michael Slutsky who has a good amount of experience playing Virizion and then of course Brit Pybas who has actually played the deck. I changed quite a few things on my own and then with their help put the finishing touches of the list. Sadly I chickened out at the last moment and ended up going with a more “standard” list, if you will. I was pretty sure that I wanted to play Virizion/Genesect has it handled my two biggest issues really well: Special Conditions and it could also easily tech in some sort of consistency card. With a huge lack of experience with the deck I spent the week leading up to Regionals reading everything I could get my hands on about the deck and looking at different lists. The night before Regionals while on break at work I read through Jose Marrero’s article on 60cards.net. I don’t know Jose personally and I’ve never played against the guy, but if there is one thing he knows it’s how to play Virizion/Genesect. He might just be the most accomplished Virizion/Genesect player right now, so I took his article pretty seriously. I liked his Virizion/Genesect/Roserade list as it handled the format well and had answers to a majority of things I wanted it to. Normally I’m avidly against taking lists off the internet and playing them at tournaments with no experience. Usually this leads to bad results, but testing the night before or morning of Wisconsin Regionals were simply not options for me. While talking with Michael I told him I had never played the deck before and asked him if he could give a quick rundown on what to do. He told me it was really simple: on my first turn attach an Energy to Virizion-EX and then on the second turn attach a second Energy to Virizion-EX. Finally he tells me to use Emerald Slash a lot and I’ll probably win. Of course he was joking about how simple the deck is to play, but there really was a lot of truth in his comments though. I focused my list on maximizing situations where I would be able to get T1 Virizion + Energy followed up with a successful T2 Emerald Slash. This is the reason I opted to play 4 Virizion-EX, 4 Skyla, 3 Skyarrow Bridge, and 3 Energy Switch. Looking back over the tournament all the games I lost were games I missed the T2 Emerald Slash. 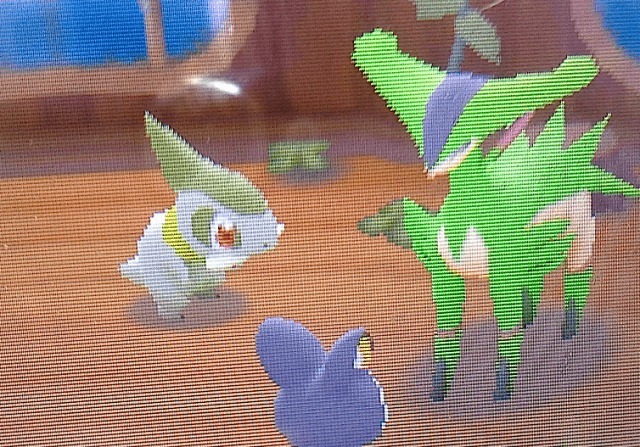 I see a lot of players opting to only play 3 Virizion-EX, but I’m really glad I played the 4th. There is no better feeling than seeing Virizion-EX and an Energy in your opening hand. The odds of getting T2 Emerald Slash are considerably higher when you open Virizion than when you don’t. I usually rolled Electrode out first. Playing three different 1-1 techs without Town Map looks really bad on paper, but it actually played quite well. On my first search through the deck I would check on all of my 1-1 lines as well as G Booster and Professor’s Letter. If either part of the 1-1 line was prized I would simply set up my other 1-1 line. I only had one occasion where I prized a piece of both 1-1 lines. Normally I went for Electrode first and would let the Roselia sit on the Bench until I really needed the search from Roserade. Playing both did feel a bit like overkill, but I did have quite a few games where I got both into play. 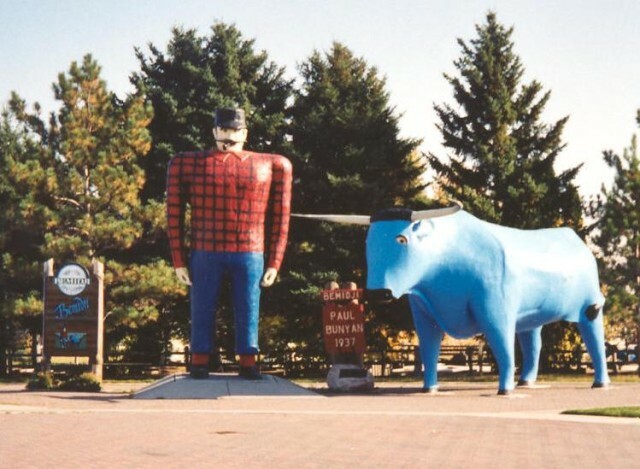 They were both extremely useful, but for vastly different reasons. 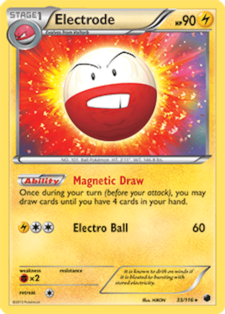 I liked Electrode more because I never had to worry drawing dead off of a late game N. Roserade on the other hand was nice because I knew a Skyla, Ultra Ball, or Level Ball could turn into any card in my deck including Plasma Energy, which is a card I have no other way to search out. Was playing two different 1-1 splits better than going one way or the other with a 2-2 line? In my opinion the answer is yes because I did actually like the split, but I know a lot of players would disagree with me. At first I didn’t like the 1-1 line because I never thought it would make a big enough difference to actually matter. Since I had no time to actually test the deck I decided to simply trust Jose and play it anyway. I was extremely surprised how useful the card was and it ended up winning me a lot of games. Nearly every deck in the format plays Special Energy, so Drifblim acted as a nice mid to late game sweeper. With 3 Special Energy in the opponent’s discard pile and a Muscle Band (or a Genesect snipe) it hit for 170 damage. 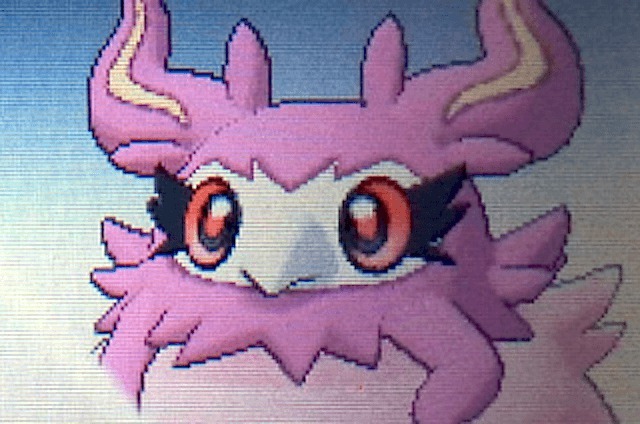 Only playing a 1-1 line and a single copy of Enhanced Hammer was not enough to win the Plasma matchup singlehandedly like a thicker line might, but it did put a target into play the Plasma player had to deal with that wasn’t Virizion or Genesect. On the flip side, by only devoting three spots to handling Special Energies I wasn’t stuck with handful of dead cards against decks that didn’t run any. Most versions only play 3, but after talking with Michael I decided to up the count to 4 in an effort to create the ideal T1 of Virizion + Energy. It’s one of the best Supporters in the deck throughout the game searching out G Booster, Muscle Band, or other key situational cards. Looking at Jose’s original list I was not a big fan of only 13 Supporters, excluding Shadow Triad (though 13 does seem standard). Thinking back, the deck did feel Supporter-heavy at times (I never thought I would find myself saying that), but I don’t think I would feel good about cutting any of them. Note: Virizion/Genesect is a deck that requires very little to set up and maintain once it’s up and running. It’s a pretty self-sufficient deck and lives extremely well off of the field. I see a some players skimping on consistency cards and instead focusing on disrupting their opponent by playing high counts of cards like Ghetsis. I can see building the deck both ways, but I’m a player that doesn’t like to sacrifice consistency for disruption. I also find Ghetsis highly situational and really like my current Supporter lineup. The one copy never seemed to be a big deal against Plasma. There was a situation where it bought me a turn where I knew my opponent couldn’t Blizzard Burn or use Lugia against me on their next turn. I found the card the most useful against Darkrai/Yveltal where it was a bit more of a surprise tech they wouldn’t see coming. Knocking a DCE off a Bouffalant or Yveltal really hurt them if timed right. This seems to be gaining a lot of popularity recently and I absolutely loved it. It gave me a great counter-Stadium and everything in my deck free retreat. It also allowed me to get away with not playing any switching cards. The card looked really good on paper and proved to be even better at the tables. Once again I headed into another tournament with under 4 hours of sleep this year. I somehow made it through Swiss before crashing, but I simply can’t stress enough how important sleep is. If you have the option to get 7 or 8 hours of sleep then you should absolutely take it. There is plenty of time to stay out and have fun on Saturday night. At 5-1 I had the game to see if I would make Top 8 or not. It was a win-and-in or lose-and-out situation. I got extremely unlucky and was paired against the worst matchup at the top tables. Sean Foisy is coming off of a Top 8 Nationals finish last year and today opted to play an extremely fast Lugia list with 4 Roller Skates and 4 Bike. I would N him at multiple points in the game, but he always was able draw out of them. With all of my Pokémon topping out at 170 HP the math was perfect for him. He said he played against 4 Virizion/Genesect decks and hadn’t dropped a game to them all day. Hindsight is 20-20, even more so when I elect to play a deck that I’ve never tested with. To do it over I would have stuck with the 1-1 Electrode but dropped the 1-1 Drifblim and 1-1 Roserade for a 2-2 Raichu line. I also would have dropped the Enhanced Hammer for a DCE. Both the Plasma decks I lost to played with a heavy Lugia focus, which was extremely hard for me to counter. Raichu would have allowed me to have a strong answer to Lugia as well as Yveltal. Beyond this I really needed a strong non-EX attacker to help put my opponent on odd Prize tradeoffs. With my current list they just simply have to knock out 3 Pokémon-EX to win, but throwing Raichu in the mix would help me play that 7-Prize game. Lastly, over the weekend I did encounter a handful of Safeguard Pokémon. Both Suicune and Sigilyph saw a huge increase in play this weekend than previously in the season. I caught some lucky breaks and was able to pretty easily play around them when I needed to thanks to Red Signal and G Booster, but it would have been really nice to be able to push over them with Raichu. After the release of Flashfire and heading into Nationals Virizion/Genesect is a deck I plan on testing heavily. Even outside of Pokémon tournaments I’ve never been a person who liked wearing a watch. Wearing one always felt awkward to me and out of place on my arm, if that makes sense. Before this weekend I never wore one because I never thought it would make a big difference. 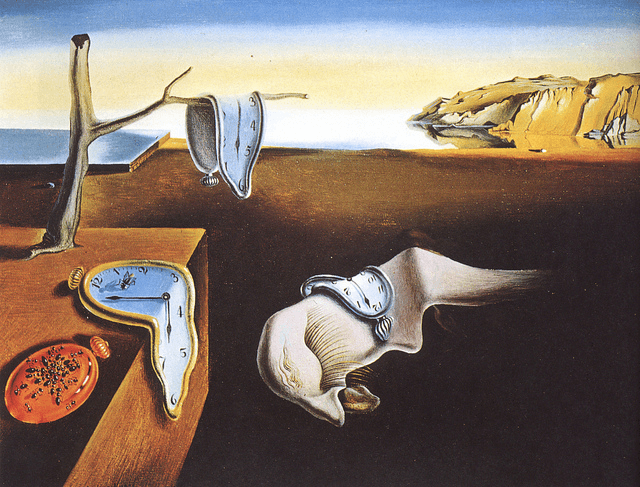 It was always a bigger deal to me to feel 100% comfortable while playing than mess around with a watch. However, earlier in the week I read about how at Massachusetts Regionals there was a public clock and the general consensus was positive; it also seemed to keep players on pace. On the way to Regionals we stopped at a gas station that happened to have watches for sale, and I bought a cheap one (which funnily enough I later found out to be a women’s watch). Having a watch made a huge difference in a lot of my games and really gave me an advantage. I never used the watch to stall out an opponent, but I found it useful for a lot of other things. First, it helped me make an educated decision on when to scoop an unfavorable Game 1. More importantly, it helped me to know if I should scoop a Game 2 when I won Game 1. If we were sitting at 40 minutes in, it would be near impossible for a Game 3 to finish. Even if I got off to a quick start my opponent could easily stall until time was called forcing a tie. It was better that I keep playing G2 hoping to either hold on for 10 minutes or pull off a huge upset. However, if were only at the 30 minute mark and I feel like I could finish a Game 3 then it might be better for me to simply scoop. I know it sounds weird, but just knowing the time really made me feel better. At States I was always wondering how much time was left and as the games went on I would feel rushed because I thought the rounds were getting close to ending. In reality we might have had 10 or 15 minutes left in the round, but it’s so hard to have an accurate perception of time with everything going on in a match, especially through a long period like 50 minutes. All of these things are a big deal and I felt like I had an unfair advantage over my opponents despite being well within the rules. What I would like to see at future events is public clocks that shut off at the 10-minute mark. Having it count all the way down is too big of an advantage to players when it comes to stalling or having time end on your opponent’s turn. As it stands now having clocks is not the norm and I really don’t think public clocks are something we will get universally this season. I strongly suggest that every member of Underground wear a watch at Nationals. It’s also something I would recommend using in test games just so you have a good feeling of the advantages it provides. I would even work with Juniors and Seniors on wearing watches as well if you think they can handle it. With some kids a watch could be a distraction or overly complicated because it’s one more thing for them to focus on. If you think either of those might be issues then it would probably be better to avoid watches. I tried to keep my stories from States and Regionals to a minimum (well, a minimum for me) since like most people I’m really excited about the new set coming out. The biggest thing about looking at a new set is having that sense of realism: balancing what I want to be good versus what is actually going to be good. My reaction to a majority of the Pokémon was it was nice to see a return to more Abilities, but many of them are underwhelming for the speed and strength of our current format. 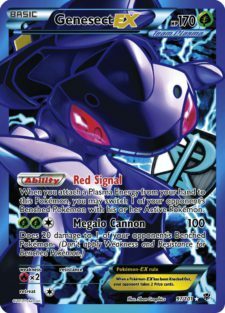 The most impressive one in my opinion is Druddigon, which provides many decks with an easy out to Black Kyurem-EX PLS and Rayquaza-EX. This card alone will make more decks playable, but I’ll talk about that more a bit later. The Charizards kind of look good on paper, but I see major problems with them in reality. I still think ending your turn to Mega Evolve is too big of a deal right now. 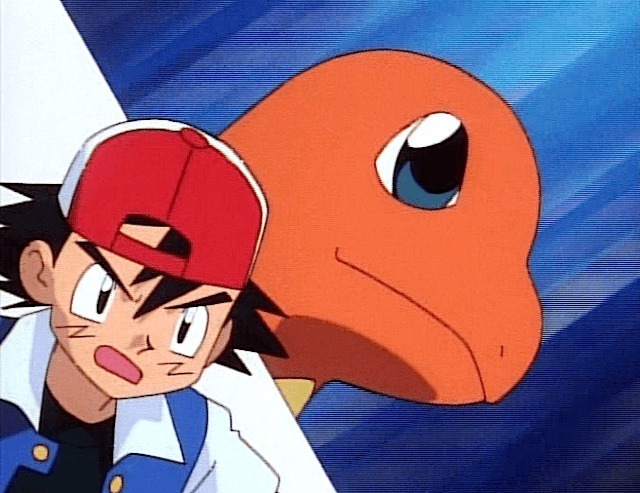 The major thing holding Charizard-EX back is its Weakness to the ever popular Water type. If the deck becomes extremely popular there are a lot of different techs that decks can run to counter it. Fairy decks can run Keldeo-EX or Xerneas-EX to counter M-Charizard-EX. A more common tech could be Yveltal-EX because of how Energy-heavy the Charizards are. Yveltal-EX could easily be played in Plasma, Fairies, or of course Darkrai/Yveltal. Milotic could prove to be an interesting tech in decks without strong Energy acceleration like Fairies or in decks that need that last little nudge to make a strong final push. 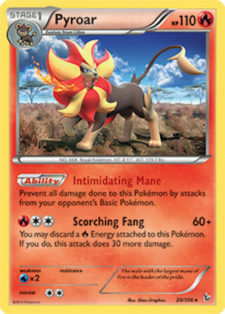 Pyroar is also extremely interesting and will most certainly have an impact on the meta. I expect at the start it will see a decent amount of play, but then it will begin to wane like Mewtwo LV.X did. Players will most likely start out running counters to it, but later on this will be more of a meta call. I think one copy will be typical. The Trainers in the set though will most likely see a good amount of play instantly. 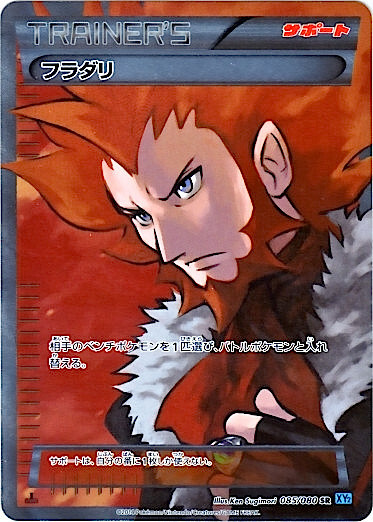 The biggest is probably Lysandre and it will semi-replace Catcher for a lot of decks. I say only “semi” because being a Supporter you can’t search it out and play it in the same turn. Decks like Blastoise that play a heavy Skyla count may favor something along the lines of a 1-1 split. The one copy of Lysandre is great if you have it in hand or the discard pile as a late game Dowsing Machine target, but the one copy of Pokémon Catcher is extremely useful to search out and play with Skyla. 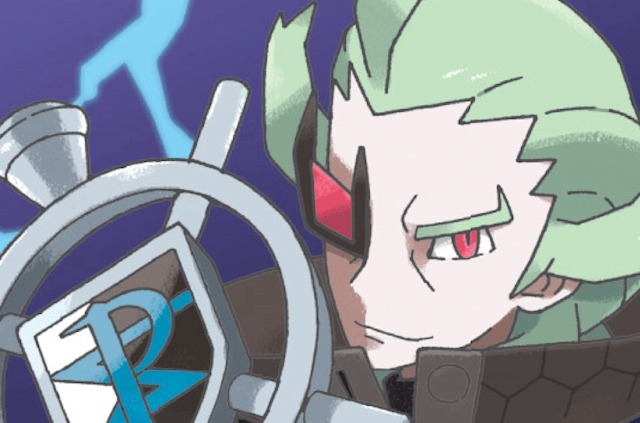 It seems like many people think Lysandre will completely replace Catcher, but I think we’ll see a lot of players playing splits. I really like this card and I think we’ll see a lot of it in the future. Getting Energy in the discard pile is extremely easy with so many discarding cards, and building dedicated Fire decks isn’t very hard with all of the support. The issue is less the decks themselves and more finding a way to survive all the counters. I’m really up in the air on this card as I could see it being widely played, but I could also see players relegating it to their binder. A “turbo” Fire deck would be the best way to play the card with high counts of Fiery Torch, Professor’s Letter, and Blacksmith, aiming to have four Energy in play T2. Playing this alongside Charizard-EX you could see insane amounts of Energy acceleration. Usually I’m not a big fan of “combo”-based cards where you need Card B to make Card A good. There would be no better way to describe Fiery Torch other than a combo card. However, the cost is easily paid so perhaps that’s why I’m a bit less harsh on it. I’ve heard a lot of people saying that this card is going to completely replace Tool Scrapper, but once again I’m going to disagree. I think what you’re going to end up seeing is a lot of 1-1 splits in decks that can afford to devote the two spots and a toss-up on which one decks will choose if they can only devote one spot. Very rarely will the opponent play down more than one or two Tools at a time, and the odds of three or more will be near non-existent when Surprise Megaphone comes out. Also, some decks do actually want to discard their own Tools, such as Virizion/Genesect discarding a Muscle Band so they can play down a G Booster. I really don’t get all the hype behind this card. It’s a completely dead card until the mid to late game, and even then it doesn’t give you an instant advantage since the Supporters go right back in the deck. The only deck that I could see this being played in is Darkrai/Yveltal-based decks that play a low Supporter and high Random Receiver count. It would allow the deck to more easily get away with the 4 Juniper, 4 N, 4 Random Receiver lineup. Deck space is tight though and this seems like a pretty easy cut. It would be a 1-of at best, but I really don’t think it will see much play. A Stadium that shuts off Resistance is nothing new to the game. Magnetic Storm itself is actually a reprint from way back in 2004 and in more recent memory we had Ruins of Alph, which did the same thing. It’s always been a situational card that found its way in and out of decks depending on the format and what matchups players expected to go up against. If we keep Skyla around for another year I’d expect it to see more play next season than this season. This is another card that won’t see massive amounts of play, but is interesting enough to at least keep in mind for the future. Other Trainers in the set you can tell are more geared towards the upcoming rotation. Sacred Ash is a very watered down version of Super Rod, but will most likely see play once the latter rotates. Pokémon Fan Club is another one that’s pretty underwhelming now, but will see more play once we lose Level Ball and Heavy Ball. Even though Flashfire brings a lot of support for Fire decks I’m still a really big fan of Virizion/Genesect. The deck is fast, consistent, and doesn’t have to run awkward techs to deal with Pyroar like other Basic decks do. It also handles Blastoise quite well, which I expect to be extremely popular at Nationals. The list is extremely similar to the list that I played at Wisconsin Regionals in regards to speed and consistency, but you can also see some major differences. The first is the inclusion of Raichu, which acts as a strong non-EX attacker that counters both Yveltal and Lugia quite well. It gives the deck a wide array of options, which is extremely useful against decks that play Fire. A dedicated Fire deck would still be an incredibly tough matchup, however I do feel the matchup is “more” winnable with Raichu. Raichu would act as a much better counter against decks that simply tech a Fire Pokémon like Fairies that tech Entei-EX. Another difference you’ll notice is that I’ve included Druddigon in the deck, but I’m not sure if I want to keep it in. The thing that I hate the most about the card is the Retreat Cost of 2, which means it doesn’t have free retreat under Skyarrow Bridge. The deck does have 9 other good starters, but opening Druddigon means the soonest you would be able to Emerald Slash would be T3. Blastoise is already a favorable matchup and Emboar is still an unfavorable matchup. It does really shore up the Blastoise matchup and it does slightly improve your Emboar matchup. It’s a tough decision and something I’ll probably go back and forth on a lot. The Trainer lineup I would consider pretty standard and you can see that I once again opted for Skyarrow Bridge over Hypnotoxic Laser. Lastly in the Energy lineup I added a single Double Colorless Energy for Raichu and Druddigon. I would like two, but I believe the single copy is sufficient. Both attackers only require two Energy to attack, which can easily be attached over two turns or attached an Energy Switch in one turn. The other thing to note about DCE is that you can discard a single DCE to pay for G Booster, which comes up more often than you might think. The biggest weakness of Fairy decks has always been that they get steamrolled by Black Kyurem-EX PLS and Rayquaza-EX. With Druddigon in the mix they now have a quick and simple answer that isn’t Energy intensive like Rayquaza LTR is. Of course Druddigon can be teched into any variation of Fairies quite easily, but I’m pretty partial to Plasma Fairies as it can take advantage of Genesect-EX, Lugia-EX, and have easy access to G Booster for big 1HKOs. They can also recover Special Energies, which I feel is really big deal. I will be honest and say that I don’t have much experience with a more straight version of Fairies, but I plan on testing it more in the coming months. I went with the list I’m currently testing, but there is simply so much you can do with it and so many different ways to build the deck. I opted to play Darkrai-EX over Fairy Garden because I wanted to play Tropical Beach as my Stadium for early-game consistency. The techs can be switched up to however you like and for whatever meta you’re expecting. Personally I opted to play a whole host of 1-ofs figuring that 2 Prizes would come from my 1-of tech and 2 more Prizes would follow with Genesect-EX and G Booster. This would mean I’d only need to take 2 more Prizes with all of the tricks the deck provides. You can also double-up on certain techs to ensure a matchup you’re worried about is covered. The Trainer lineup can also be switched up accordingly as well depending on meta. 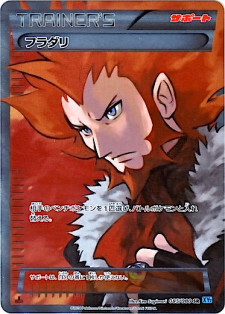 The tough choice for me was deciding between a single tech copy of Lysandre or to play a Shadow Triad. 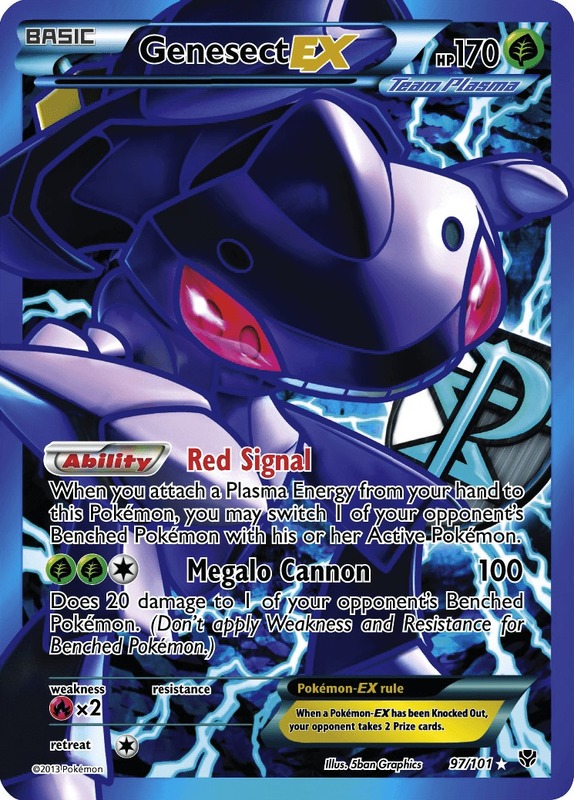 Triad could be played to get back a Plasma Energy and get the same “Gust of Wind” effect, but that requires a Genesect-EX in play, a Plasma in the discard, and the ability to spend your Energy attachment to play it down. On the other hand Shadow Triad is able to get back G Booster as well as numerous other Plasma cards in our deck. I don’t know if I would say the deck is hyped right now, but players definitely seem to want to believe the deck will be good. Sadly I believe the deck has a lot of really big issues right now. The biggest in my opinion is its Weakness to Water and the abundance of Water Pokémon currently in the format. Even though the M-Charizard-EX is weak to Fairy you can’t rely on constantly having it ready turn after turn, especially when you have to end your turn to get it into play. The second is that it has a difficulty dealing with Safeguard attackers, which are popping up more and more. Safeguard is a slightly smaller issue as the deck can run answers to Safeguard… they’re just not good answers. So far I’ve not been able to come up with a list that I would even remotely consider playing in a major tournament like US Nationals. If you have an itch to play Charizard I would strongly suggest you reserve the deck for a League Challenge. 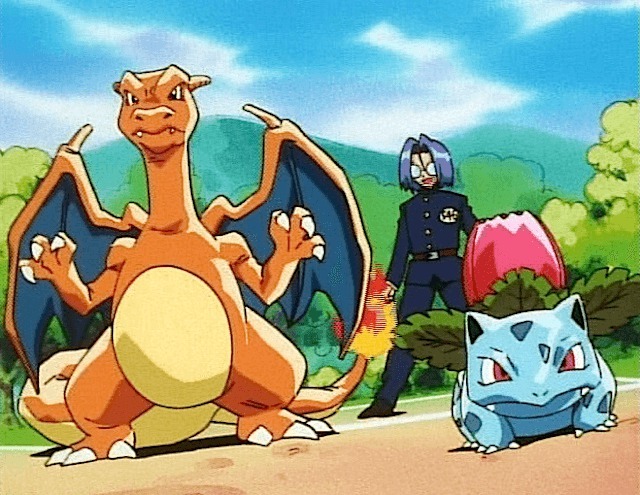 However, being as this is an article that discusses Flashfire it only feels right to include the “best” Charizard list I’ve been able to come up with. Like we just talked about, this deck has quite a few issues, but I’ve done my best to correct as many of them as possible with my list. Starting off, your hardest matchup is a full Water decks like Blastoise. The Fairy Weakness on M-Charizard-EX does help, but the majority of the deck is still weak to Water. I don’t see any way around this without devoting so much space to other cards that you either destroy your consistency or change the deck so much it’s no longer a Charizard deck and you might as well play something else. I know my list is extremely different from Kettler’s, so let me try and break down some of my choices. I would have liked a 4th Charizard-EX because it’s your ideal starter, but I cut to 3 for room. Ideally you’ll spend the first turn you can attack using “Stoke” to hopefully grab 3 Fire Energy from your deck. For the Mega Charizard, I went with the one that discards the top 5 cards of your deck. It has 10 more HP than the other one and I feel like putting damage on yourself makes a return KO much easier for the opponent. Ideally we want a M-Charizard-EX to take at least 2 Prizes (and ideally 3 or 4 Prizes). Pyroar might facilitate easy wins. I just don’t think an “all in” strategy with Charizard is a good idea. With a thin Pyroar line I’m hedging my bets and increasing the number of “good matchups” I have in the field. I feel like having the Energy to attack is a bigger deal to the deck than giving up a lone Prize. If you’re not going to be able to attack that turn because you don’t have the Energy in play then you’re probably going to give up the Prize anyway. Milotic might not be a staple, but is something that I want to test. It combos extremely well with Pyroar and Scramble Switch because you can’t put the Energy on an EX. 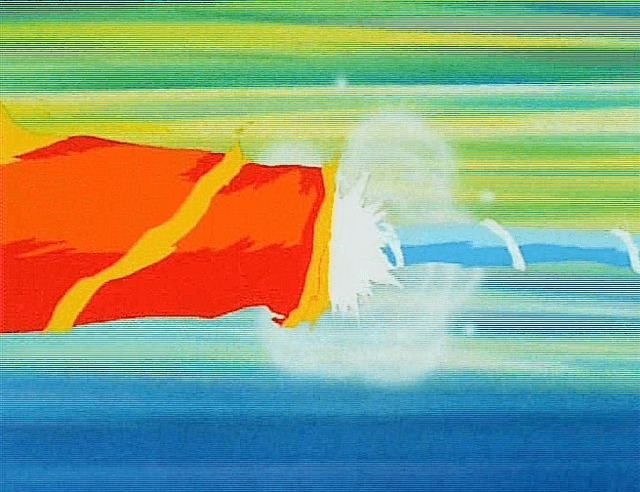 You can either use Milotic to power up a non-EX attacker in one turn like Pyroar or combo it with Scramble Switch to move the Energy right on to a Charizard-EX. This is in here for Charizard-EX’s “Stoke” attack to turn the odds from 50-50 to 75-25 in your favor. A successful T2 “Stoke” is huge for the deck and I wanted to increase the odds of it happening. I only play a single copy because the odds of prizing it are low (less than 1/10 games), you still have a 50-50 shot at “Stoke” without it, and it’s only useful at 1 or 2 points in the game. If you’re not going to be able to attack during a turn it’s important to hide behind something that might not give up a Prize. The deck will need to give up 1 or 2 turns during a game to Mega Evolve and perhaps a turn or two due to not having the Energy in play to attack. These turns can be huge turning points in the game and it’s important to lessen their impact as much as possible. I went with a pretty standard Supporter lineup that I felt would help me remain consistent over the course of the game. I also went with a heavy Professor’s Letter count to help search out Energy and a 4 Ultra Ball and 2 Fiery Torch count to help me put it in the discard pile to fuel early Blacksmith. The 1 Muscle Band probably looks the most out of place, but I was looking for a way the deck could push over Suicune and Pyroar + Muscle Band seemed to be the best answer. I do feel I’m pretty low on my switching cards with only 1 Switch, 1 Escape Rope, and 1 Scramble Switch, but was another decision made in the interest of room. Speaking of Scramble Switch, I choose it as my ACE SPEC for the deck because I feel like it opens up a lot of really cool tricks for the deck and can catch opponents off guard. There is nothing fancy about my Energy lineup with just a straight 13 Fire Energy. I wanted a count high enough that I’d be able to dump a handful in the discard pile early for Blacksmith, but still have enough to get a good number of manual attachments off as well. It’s really nice to grab 2 Energy for free out of your discard, but if you miss your normal attachment then you’re really only coming out 1 Energy ahead. It gives you that two steps forward, one step back feeling. I really hoped you enjoyed the article and got a lot of useful information out of it. I feel like I have a slightly different deck building style than other SixPrizes writers, which gives you some very different perspective on list. This one was actually extremely easy for me to write because there is simply so much going on in the Pokémon world right now. I enjoy talking about new sets and trying to be the first to come up with the best way to run new cards. The key to doing well at Nationals is to focus on consistency. Techs can be game-changing cards, but being able to set up your deck every game over and over again is the most important thing. However, a lot of the times your techs and minor card choices will decide games in the mid and late game. Balancing techs and consistency comes from a combination of experience and playtesting. Thankfully we still have a few more month before Nationals begins. 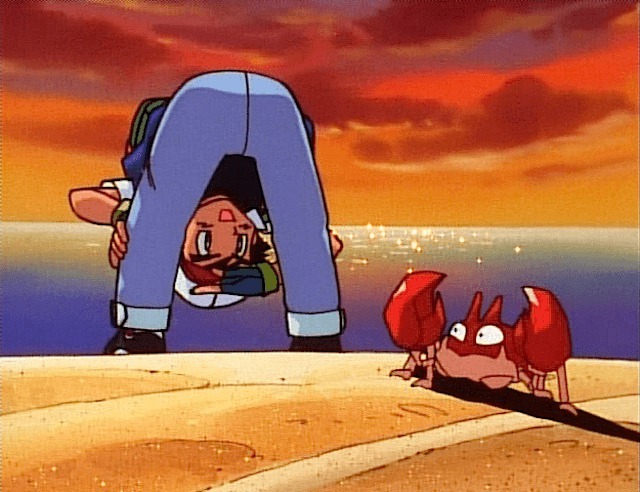 I plan on taking a week or two off from Pokémon to recover (I’m feeling old by saying that, but I know a lot of parents out there know what I’m talking about) from the non-stop tournaments over the last month and half. Though it won’t take long for me to be itching to pick up a deck again. If you have any questions or comments please post them on the forums or of course feel free to private message me. I’m more than happy to answer questions or help with decks in any way I can. Also if you enjoyed the article please remember to give it a “Like” – the positive feedback really does mean a lot to me.